Visitors will find an array of attractions in the nation's oldest city. 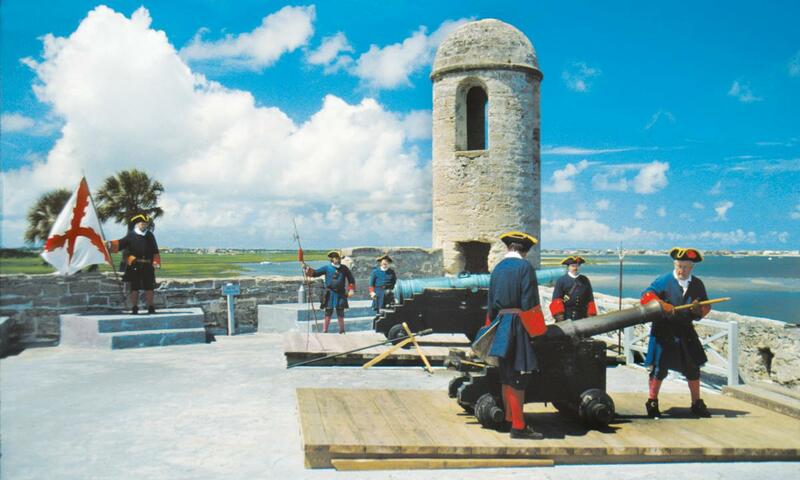 From living history museums like the Castillo de San Marcos to Gilded-Age hotels, swashbuckling adventures and specialized tours in the air, on the sea, and in the heart of the historic district, Saint Augustine has it all! Here you'll find luxury hotels, beach front condominiums, pet-friendly places to stay, charming bed & breakfasts, all inclusive resorts on the water, and more! 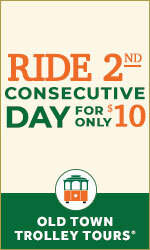 Most are within walking distance of the historic downtown district or the Beach. 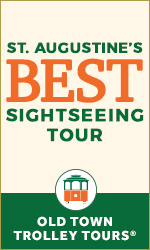 Check out descriptions, addresses and reviews of St. Augustine accommodations. The Nation's Oldest City is a destination for amazing food and unique restaurants that you can't find anywhere else! Every type of cuisine is represented in St Augustine, FL including seafood, Carribean, and Spanish specialties, and a variety of dining options including cafes, bars, pubs, eateries, coffee shops and more. Get a taste of our fresh, gourmet foods with local restaurants listed here. The Old City offers many unique shopping opportunities from our historic antiques district and St. George Street to the outlet malls. Find necessities for your vacation, unusual items to take home and lots of great bargains. Unique boutiques are popping up on every corner. Locally owned shops offer unique souvenirs, clothing, jewelry, home decor and furniture, trinkets, and more. 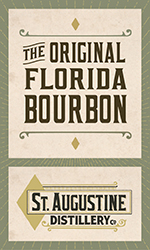 Diverse events are held in St. Augustine every day. Find the best things to do for your vacation, including annual and seasonal events like Nights of Lights in winter or the Celtic Festival in spring, 5Ks, reenactments, farmers' markets, and more! Our Calendar contains complete listings with times, prices, and info. 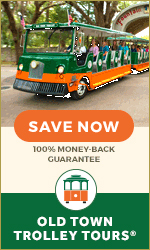 Familiarize yourself with the sights and sounds of the nation's oldest city on any of the numerous tour rides throughout the city! Exciting ghost tours, horse drawn carriage rides, even segway tours on the beach and more are available! 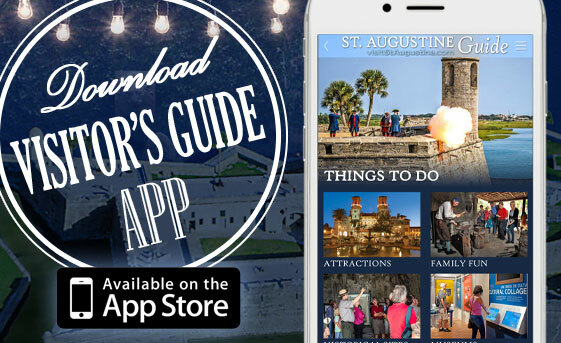 Tour guides and St. Augustine will share all the history and beauty of the Nation's Oldest City, with nearly 450 years of historic events, triumphs, and challenges. For the adventurous visitor, St. Augustine, Florida is home to numerous marinas, golf courses, state parks, and beaches that offer outdoor recreation and adrenaline-fueled sports like boating, biking, fishing, golfing, hiking, horseback riding, flying, and more. 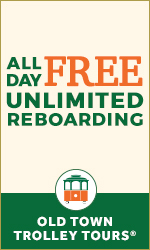 Your day will be filled with fun things to do outside in the Florida sunshine and on our pristine waters! Every aspect of weddings and events is covered by these businesses that specialize in event planning. Find beautiful locations, elegant florists, and pampering spas! 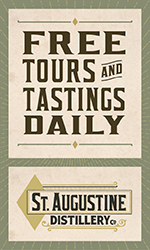 We list the best local venues, photographers, caterers, salons, and spas for visitors to St. Augustine. The scenic bayfront, miles of beaches and quaint historic streets provide the ideal backdrop for any special occasion. 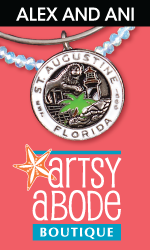 Shop for works from both local and internationally recognized artists at St. Augustine's art galleries. There are many galleries and artists' studios in historic downtown, the antiques district in Uptown, and on Anastasia Island. The art galleries in St. Augustine abound with art including contemporary and fine art, handmade crafts by local artisans, national up-and-coming artists, and so much more. The oldest city offers something for every connoisseur. 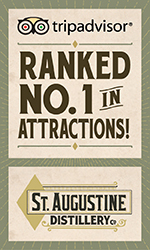 Explore St Augustine - Discover Family Fun! Discover more about the nation's oldest city! Its unique scenery and history set this city apart from any other in the country. This old city has a quaint feel but boasts a big appeal. Visitors can see why when they stroll along the brick-lined streets and delight in the city's European flavor, with centuries-old buildings, horse-drawn carriages, hidden courtyards, and so much more. 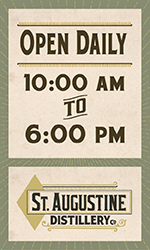 Saint Augustine has plenty of history to explore -- more than 450 years of it! In addition to its impressive roster of top-rated hotels, resorts and bed and breakfasts, St. Augustine is known for its excellent restaurants serving a variety of dishes reflecting the town's multicultural heritage. Add to that the city's world-class art galleries, boutiques and outlet shopping, theater and live music, and 42 miles of gorgeous beaches, and it's easy to see why more than 6 million visitors come here each year. We have put together a comprehensive guide to everything it has to offer -- from fun and free local events to tour services, parks and attractions. Our information is current and accurate, providing a clear description and address for every hotel, attraction, shop, restaurant and more.